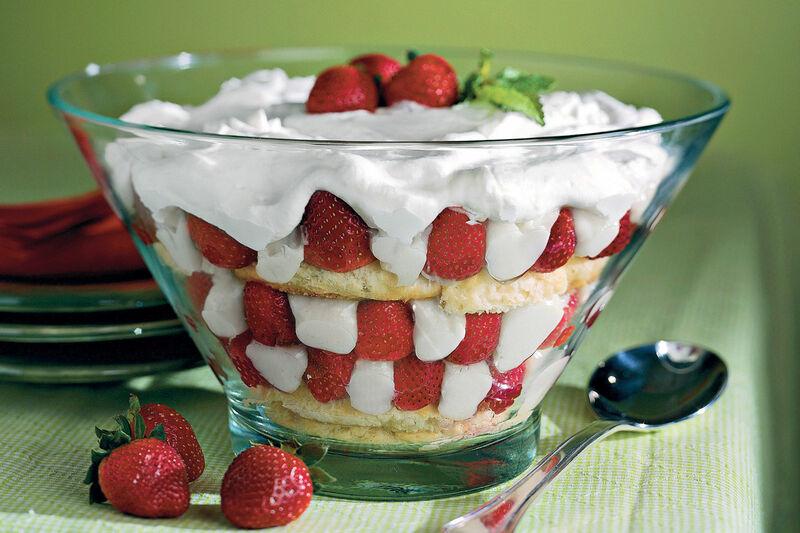 You'll be licking your fingers quicker than you think–we promise. You know grill season has arrived when Smoky Chipotle Baby Back Ribs served with barbecue sauce and grilled Texas toast show up on the table. When I was a kid, my dad would head to the grill on a Saturday, returning seven hours later with beautifully glazed baby back ribs. But making ribs doesn't have to be an all-day affair. You can have them on the table in three hours flat. Buy baby back ribs―they're meatier and more tender than spare ribs and worth the extra money. 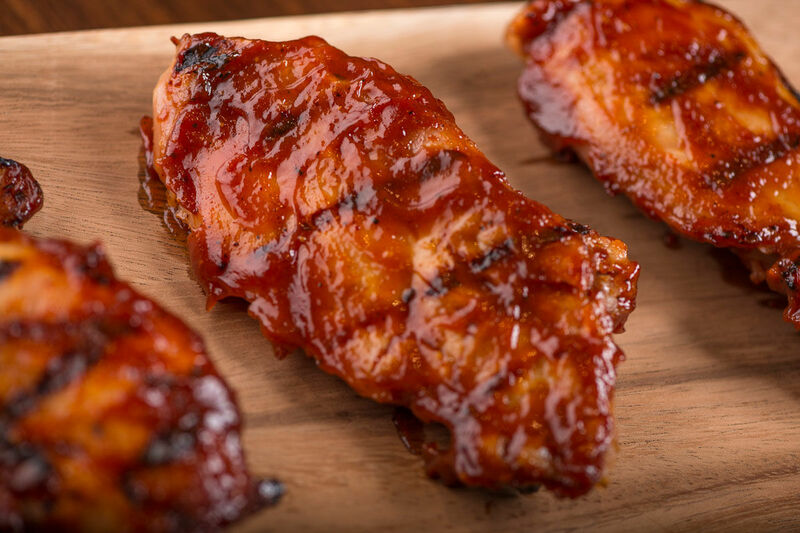 Then select a rub-and-sauce combination from our two flavor options: Smoky Chipotle or Sweet-and-Sour. Four ingredients or less make up the rubs, while bottled products are the base for the sauces. Then grill them upright in a rib rack (about a $15 investment). 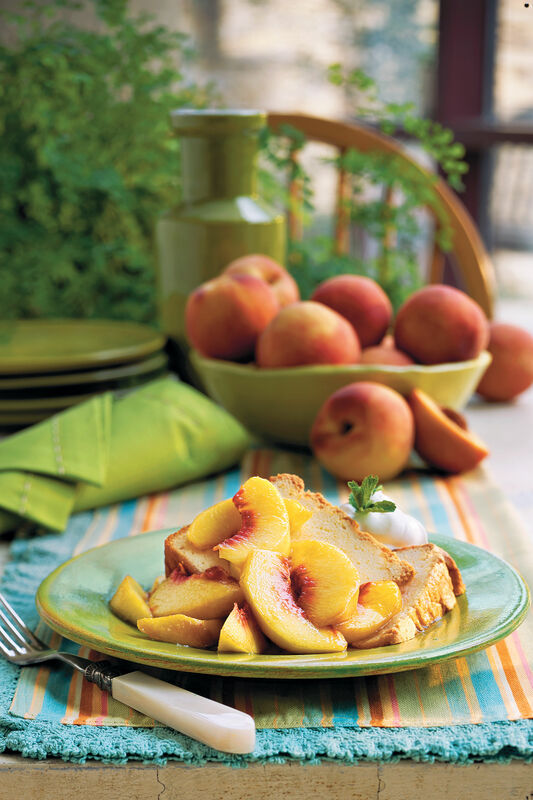 Sweet Peaches and Pound Cake - Oh My!